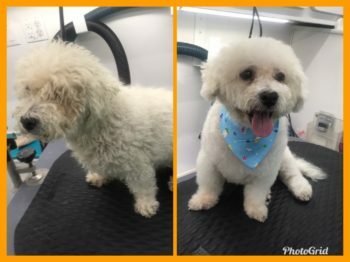 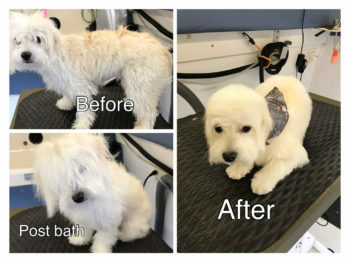 Rocky is our regular monthly client. 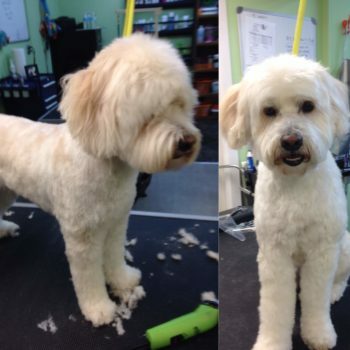 He loves his spa days with The Yeller Pet Services.We alternate between bath days and haircuts. 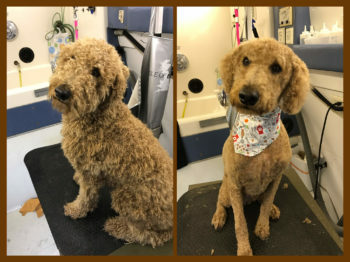 Golden doodles have a straighter coat as compared to labradoodles. 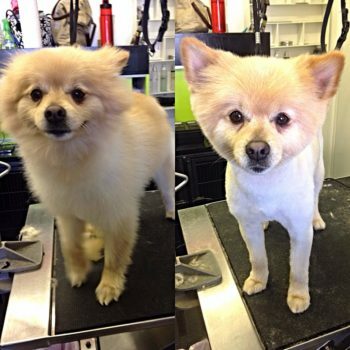 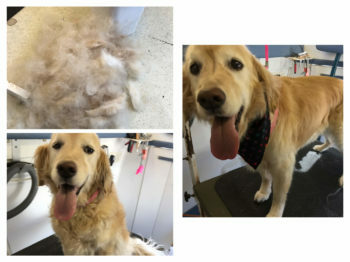 They still require regular grooming to maintain healthy coat.